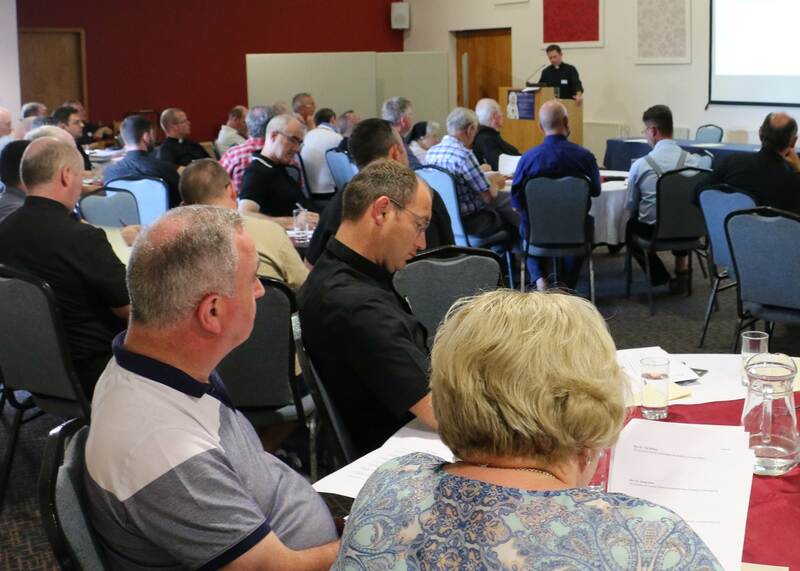 The first annual formation course for National Diocesan Vocations Directors took place this year in Knock from June 24th to 28th. Thirty five diocesan vocations directors and members of vocations teams gathered in glorious sunshine to pray study and reflect on what it means to be a vocations director in Ireland today. An atmosphere of enthusiasm, affirmation and energy was evident in the days of our gathering at Knock. Despite the declining numbers of vocations there is still great hope in knowing that God continues to call men and women to priesthood and religious life. This hope can never be shattered or destroyed either by social reaction or popular opinion. Morning and Evening Prayer each day united us with our brothers and sisters in ministry in our own country and throughout the world. Our Mass and Adoration each day was offered in thanksgiving to God that each day is an opportunity by the witness of our lives to call men to diocesan priesthood in the knowledge that God is the Lord of the harvest. The diocesan bishop is personally involved in vocation efforts. The priority of vocation efforts is integrated into all aspects of diocesan life. The faithful of the diocese are actively praying for priestly vocations before the Blessed Sacrament. A vocation director has adequate time and human resources to fulfil the needs of the diocese for vocations ministry. The vocation director has proper formation and training. The presbyterate actively invites specific individuals to consider becoming a priest. Local, experiential discernment opportunities are available for candidates. The diocesan vocation process of discernment, application, formation and evaluation is clearly defined and articulated. Sufficient funding exists for the total cost of a vocation program and the vocations director is involved in the formation process of the seminarian from his diocese. 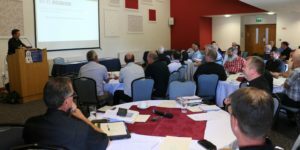 Throughout the four days, ideas and initiatives were continually suggested to the vocation directors that might be utilized in Ireland, ideas which have borne fruit in the U.S. culture. And great conversations were had regarding what might be effective in the Irish culture and the current “difficult” situation. Hopefully, each vocation director and each person went home with a “vocations toolbox” filled with many possible tools.